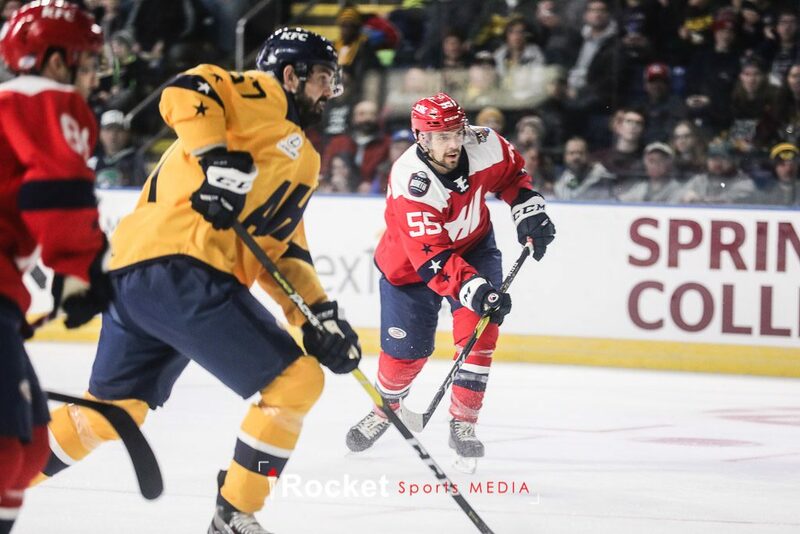 SPRINGFIELD, MA — After an impressive night at the AHL All-Stars Skills Competition on Sunday night, the American League’s best athletes took the ice again on Monday for the AHL All-Star Challenge. In a round-robin mini-tournament, each division faced off against the other three divisions in six three-on-three games lasting for two five-minute periods. The two teams with the best record after those games would face each other in a six-minute championship game to crown an overall winning division. Colin McDonald (Photo by Amy Johnson | © Rocket Sports Media) Unauthorized use prohibited. 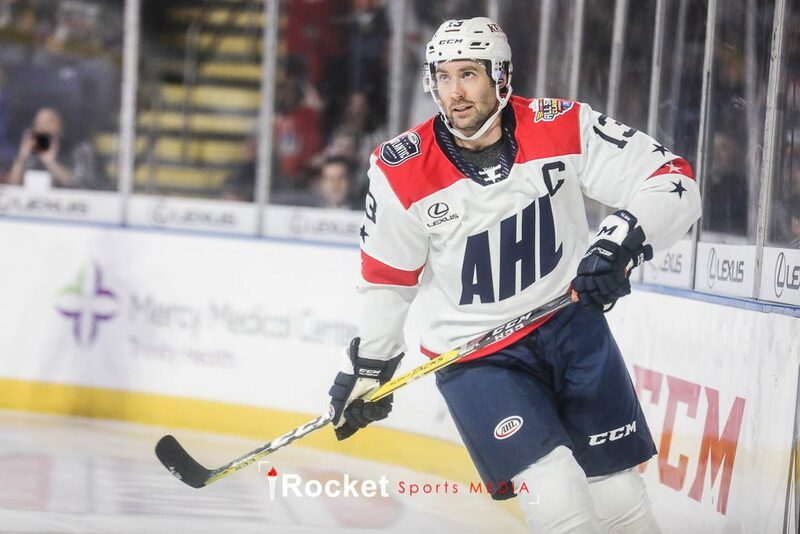 The Atlantic Division, featuring Lehigh Valley Phantoms forwards Colin McDonald and Greg Carey, opened the night with a 3-1 victory over the Central Division. Eastern Conference captain McDonald notched one of those goals. The Atlantic Division also beat the Pacific Divsion 5-2, before losing 4-1 to the North. 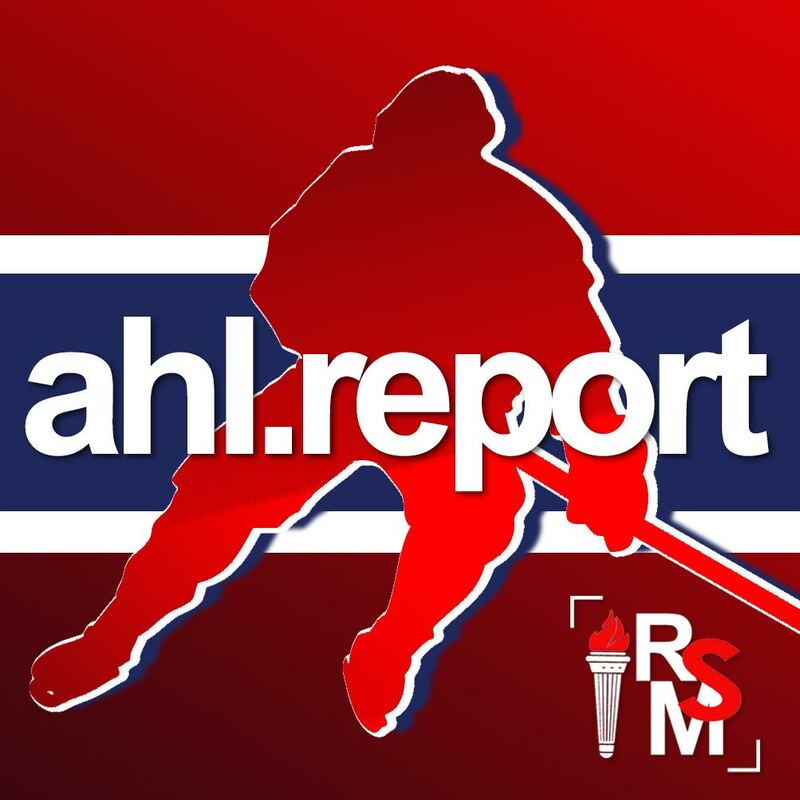 In the second game, the Pacific Division downed the North Division, where Laval Rocket forward Alex Belzile was looking to make an impact. Although he didn’t score a goal, Belzile looked hungry for the puck and put some slick moves on display throughout the night. 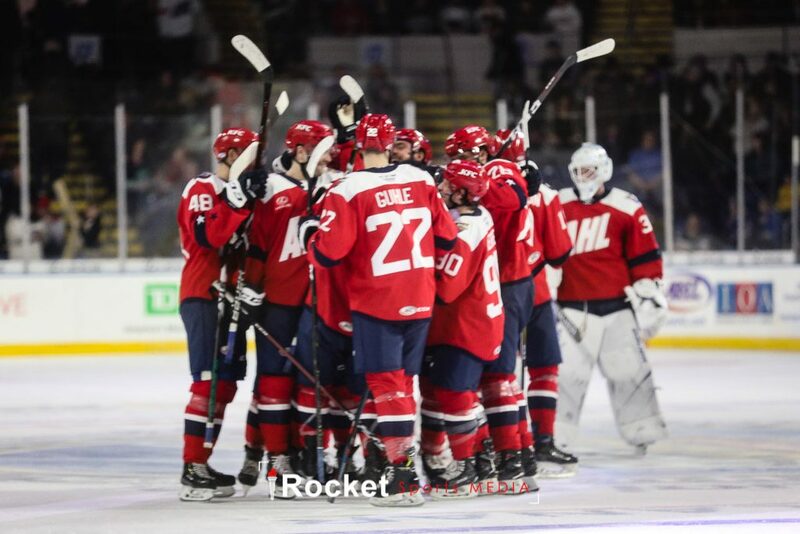 The North Division would go on to defeat the Central Division 4-2 and the Atlantic Division 4-1. Alex Belzile (Photo by Amy Johnson | © Rocket Sports Media) Unauthorized use prohibited. The Eastern Conference definitely had the stronger showing for the night, leaving the North and Atlantic Divisions in the top spots to battle in the Championship round. The Western Conference teams made an early exit, likely a satisfying result for the East after letting the Skills Competition slip away from them on the previous night. For the second year in a row, the Championship game ended with a 1-0 score and for the second straight year it was the North Division who were crowned the victors, winning the title this time in a lively shootout. Drake Batherson (Photo by Amy Johnson | © Rocket Sports Media) Unauthorized use prohibited. 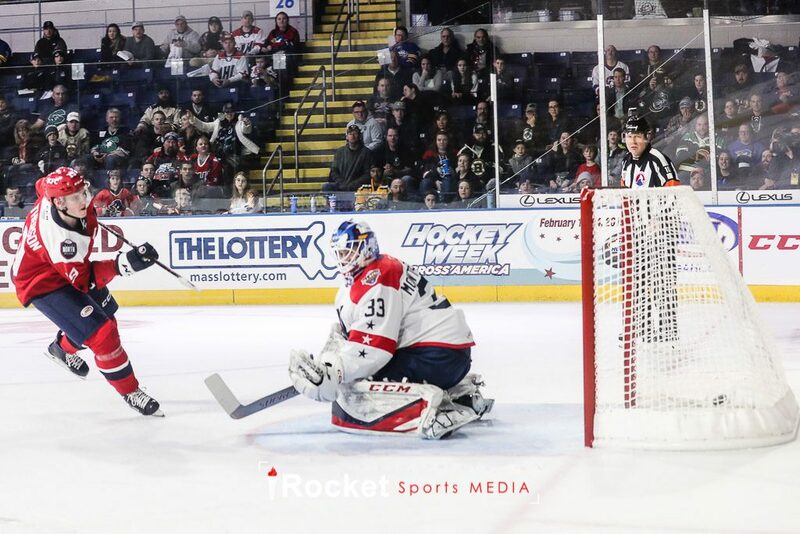 Belleville Senators forward Drake Batherson was awarded Most Valuable Player status, with five goals scored. The top goaltender of the night was Vitek Vanecek from the Hershey Bears. Vanecek played for 21 minutes and stopped 18 of 20 shots. 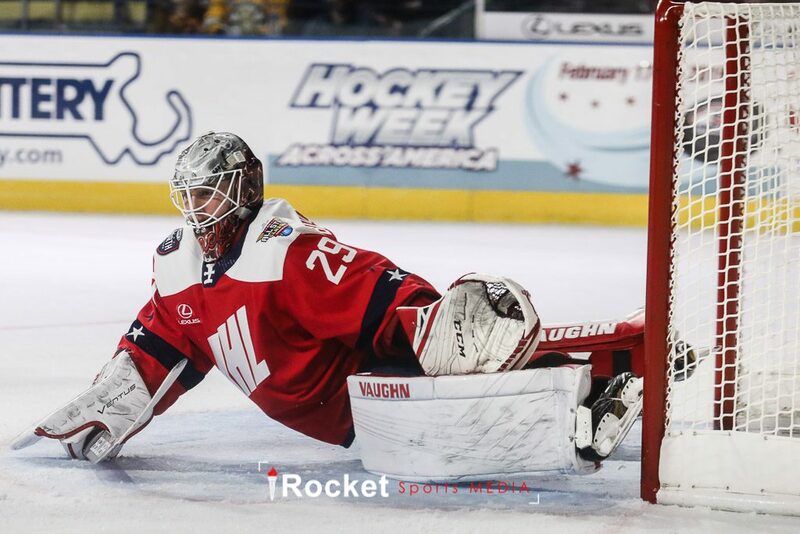 Mackenzie Blackwood (Photo by Amy Johnson | © Rocket Sports Media) Unauthorized use prohibited. Lead Correspondent Amy Johnson spoke with Belzile, McDonald, Carey, and Binghamton Devils goaltender Mackenzie Blackwood before the game. You can listen to their full interviews in the player below and also watch video highlights of all the talent displayed throughout the night!